End the Mystery 2019- Grab Bag reveal! 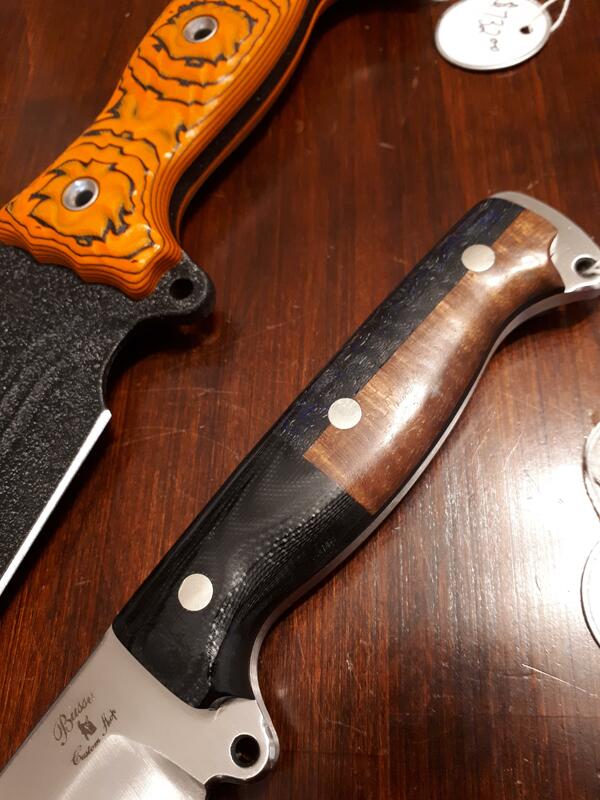 Discussion in 'Busse Combat Knives' started by n850gt, Jan 9, 2019. Thank you! This was my first purchase from the factory. The Park Ranger may find a new home, but I believe The Forsaken Gemini will be here to stay. Chrisinzky and CLKW like this. Is anyone else still waiting on a grab bag on here . Was hoping to see alot more bags on here.what i have seen has been cool tho. The ds6s were awesome and the mountainmandu.also the hog badgers . Still waiting on a couple of grab bags here. wireman12 and Ironkid883 like this. I have a $500 scheduled for delivery today but wont be home to receive it. So it will have to wait a few days to schedule a pick up. Sweet, carbon fiber on the Badger, thoughts on the wood? 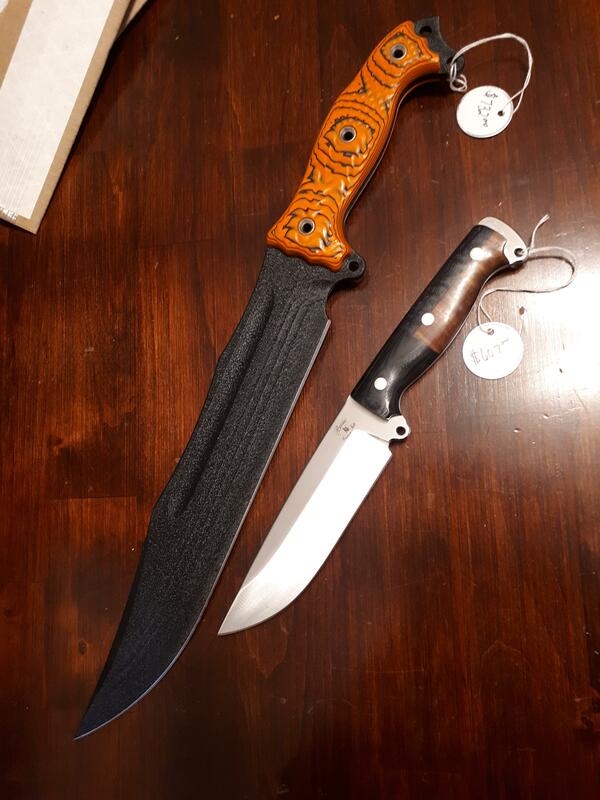 That orange and black might be my new dream knife. Nice score. Im still waiting on few. *** I managed to score one ! thanks to a fellow hog for helping me out !! mpjustin and Ironkid883 like this. Got shipping notice today . Cant wait dont see a weight anywhere so mystery shall continue ill be happy either way . Just got these and I’m ecstatic. WatermanChris, Murman, LizaMari and 12 others like this. Leonardo63, PeteyTwoPointOne, evltcat and 2 others like this. Nice to see others getting the FMV14. It's such an incredible blade. Man! These are quite some serious hauls...looks like the INFI ratio was flipped from last go-around. All good stuff guys and gals. My favorite so far are the Mentors and the canvas camo Forsaken Geminis! Of course, all the CS stuff looks great. The anticipation is the best part. If these came up for sale once a month, I’d buy a bag every time they’re offered just for the fun of opening them up. bmilla35, gruntmedik, MadMarkie and 1 other person like this. MadMarkie, Apocalyps, LizaMari and 8 others like this. I can’t believe they sent you out that small knife with a crack in the handle. And what the heck is all over the blade?